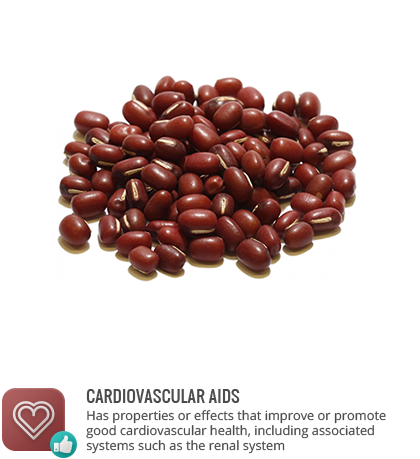 Adzuki beans are small red beans of the Vigna angularis plant. Adzuki beans are popular in Asian cuisine where they are often turned into a sweetened paste and used in desserts. Adzuki beans are high in fiber and protein, and a source of B vitamins (excepting B12), iron, magnesium, phosphorus, potassium, manganese, copper, and zinc. In diabetic rats and rats with kidney damage, inclusion of adzuki beans in the diet improves kidney function and protects against further damage. Adzuki beans have also been found to reduce oxidative stress and inflammation in rats with high blood pressure. Asian desserts containing adzuki beans, recognizable as red bean and red bean paste, are often high in added sugar.